This book helps you design composite structures with ease. Now there's a single-source guide to the latest codes, specs and state-of-the art techniques for designing composite steel and concrete structures. 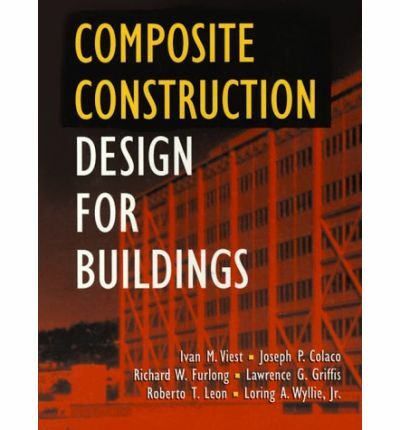 In "Composite Construction Design for Buildings", Ivan M. Viest and 23 other experts show you step-by-step how to capitalize on the major innovations in designing composite columns and walls calculating load and resistance and exploiting the latest elasto-plastic analysis techniques. All procedures are based on new LTFD codes and strength design methods and include practical design examples and case histories. It's simply the fastest, easiest way to get groundbreaking information on: strength and serviceability of composite beams, joists, trusses and stub girders; differential column shortening in tall buildings; retrofitting buildings for seismic, wind and gravity forces; designing moment resisting frames, braced frames, shear walls and horizontal diaphragm connections time dependent properties of concrete; and much more.